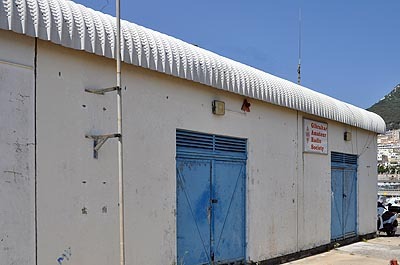 Although we are very pleased to see you at our premises, they are not available for use by visiting operators except using our station ZB2BU on club nights. Gibraltar is not part of CEPT, and the authorities here DO NOT issue reciprocal licences for HF operation. This is due to historical problems with interference to MOD services and is unlikely to change. There are no exceptions. Reciprocal licences for VHF are issued free on application to the Gibraltar Regulatory Authority. You must hold a licence from a country which has a reciprocal agreement. Importing radio equipment without a Gibraltar licence is illegal, and it may be siezed by HM Customs. Gibraltar ZB licences are only issued to residents of Gibraltar.